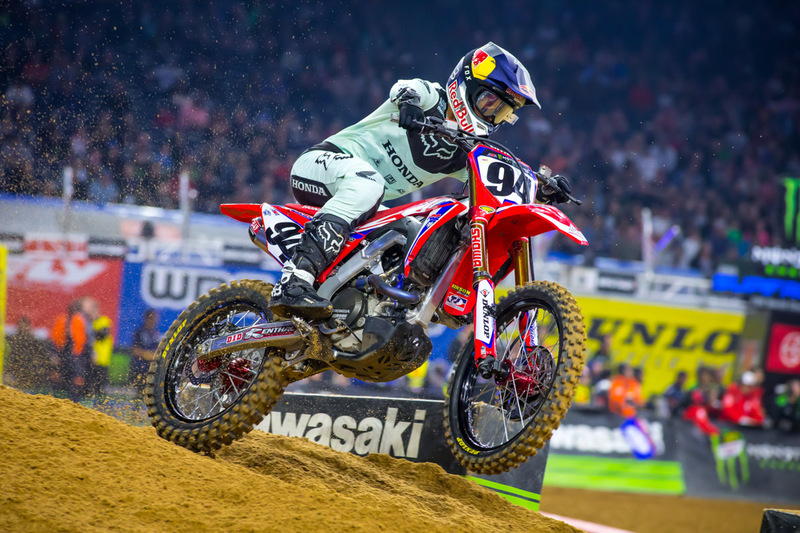 German talent salvages eighth at Nashville supercross. 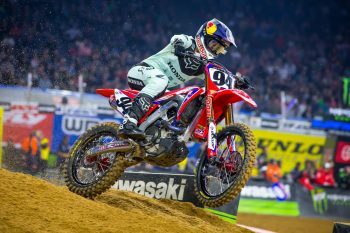 Ken Roczen believes he ‘can’t catch a break’ as a string of bad luck continues to strike the likeable German following an unfortunate encounter at Nashville’s 14th round of the 2019 Monster Energy AMA Supercross Championship last weekend. 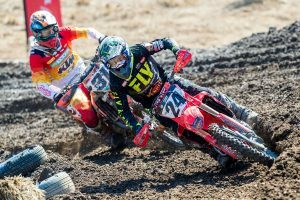 The Team Honda HRC rider was primed to challenge for a season-first victory, setting the fastest time in qualifying prior to winning his heat race. 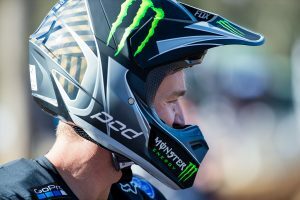 However, just laps into the main event, the number 94 fell victim to a suddenly crashing Joey Savatgy (Monster Energy Kawasaki) at the end of a rhythm lane, leaving nowhere for Roczen to go, ultimately taking him down and demoting him to the rear of the field before recovering for eighth. “I don’t even know what to say because nothing surprises me at this point,” Roczen admitted. “I feel like I just can’t catch a break. Things started out so great and I really felt like tonight could have been my night. Everything was flowing well in qualifying and I got another heat-race win. “My bike was working great and I was having fun. I didn’t get the start that I wanted in the main event but was making passes quickly. Unfortunately, [Joey] Savatgy went down while I was right behind him and I hit his bike. There was nothing I could do – I had nowhere to go. Roczen sits fourth in the championship standings as the series heads to Denver this weekend for round 15.